Is there anything more beautiful than a young fairy ballerina? 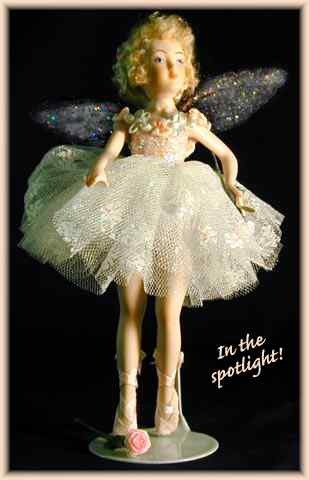 Fairy Princess Tudy is a teen ballerina and she just finished her debut performance! She was splendid in her lovely handmade tights and tutu. Her tiny handmade ballet slippers were a perfect mate for her outfit. She holds a rose in her left hand and there's another rose at her feet that an appreciative fan threw to her. 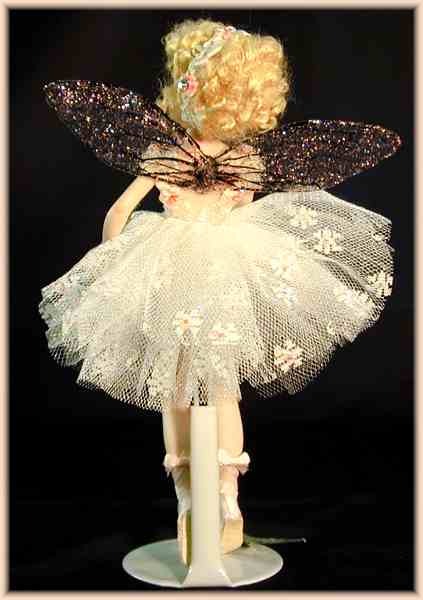 The twinkle of pink in her handmade wings is the icing on her cake! 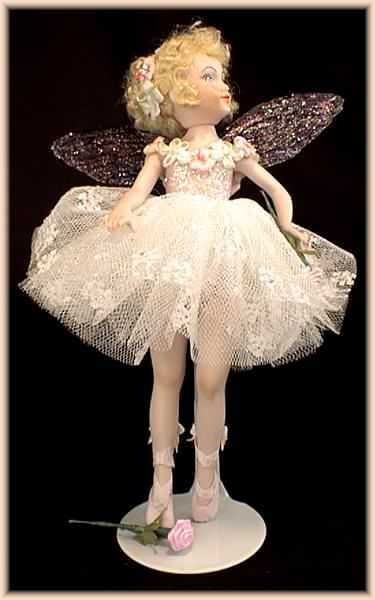 Tudy is a hand-painted porcelain fairy doll, approximately 5" tall with a wingspan of 4". She is an exquisite, one of a kind work of art by the artist JoAnnJ of Galleria d'Juliani, and is hand-signed by the artist.